First full travel day in Japan. I’ve been up since 2:30 a.m. since that corresponds to 7:30 a.m. in Hawaii which is a totally normal time to be awake. Since I couldn’t get back to bed, I did some research while waiting for the family to get up and get ready for our day trip to Koyasan with my Hilo friend Garet. 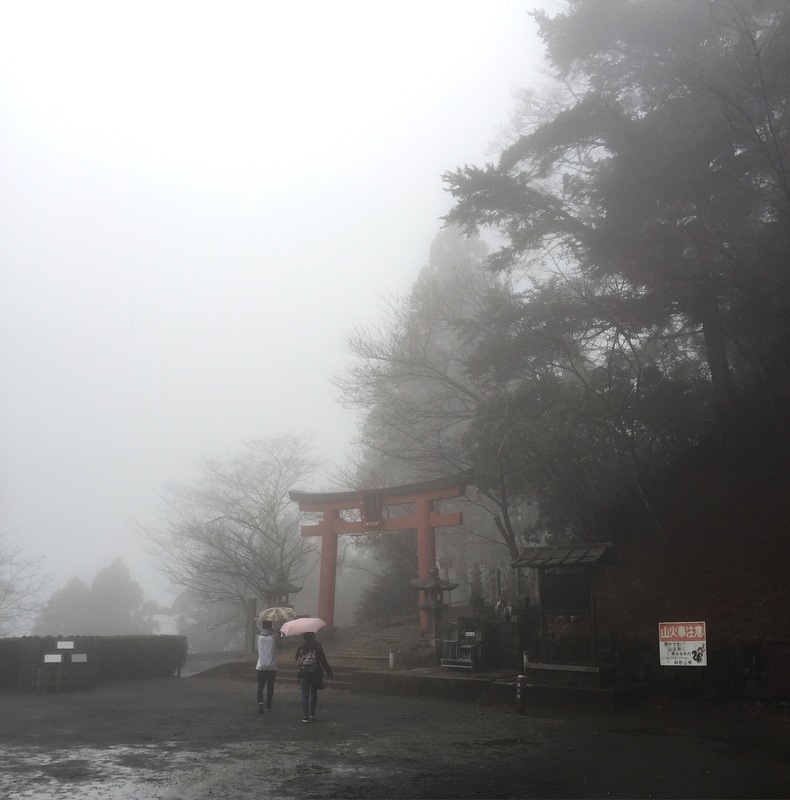 Garet had been to Koyasan several times before and knows a lot about the history and significance of the location. He agreed to be our guide in Japan on this trip. Why are we up at 5:47 a.m. on vacation? 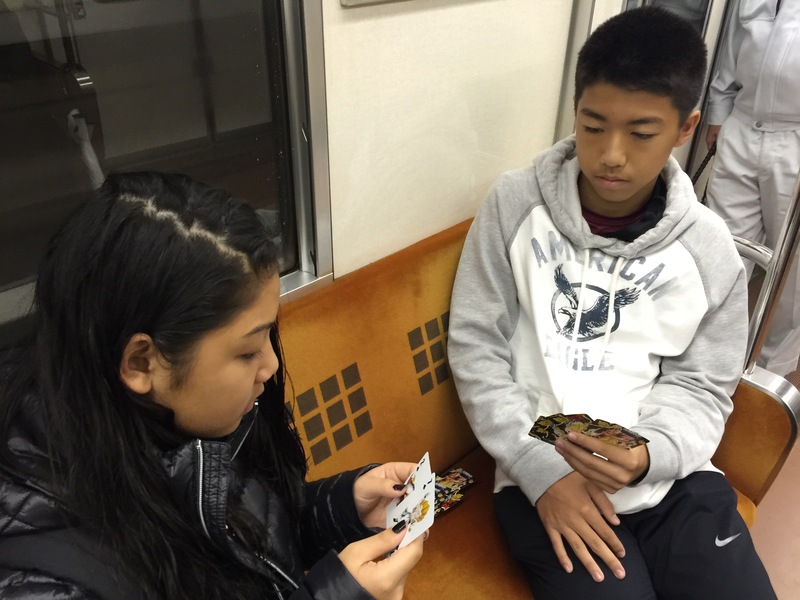 We met Garet at 5:45 a.m. at Shin Osaka station. We bought breakfast at the combini (convenience store) and got on the train. Our first leg of our train trip was on the subway from Shin Osaka to Namba. We were able to use the ICOCA cards that I had purchased at Kansai Airport the night begore to purchase our subway tickets. I had never used these prepaid cards on any previous trips. Using the cards made things so much easier in terms of saving time not having to try and figure out the exact fare for each trip we take. Just swipe the ICOCA card over the turnstile thingie on your way out of the train station and the computer does all the thinking for you. Well, you just have to know what train to catch, in which direction, and where to get off. Easy! The train ride to Koyasan was comfortable and not that crowded. Steven brought a deck of playing cards with him and he and Sammie were able to play games to pass the time. The views from the train to Koyasan were beautiful. Once we got to Koyasan, we caught the bus from the Koyasan train station to the farthest point on the route and proceeded to walk around. The first area we enjoyed was a cemetery. This was no ordinary cemetery. This is the largest cemetery in Japan and probably the one with the most famous families. Koyasan is famous for a special tofu called goma tofu. It is a thick, rich tofu that is in the restaurants and sold in the souvenir shops there. 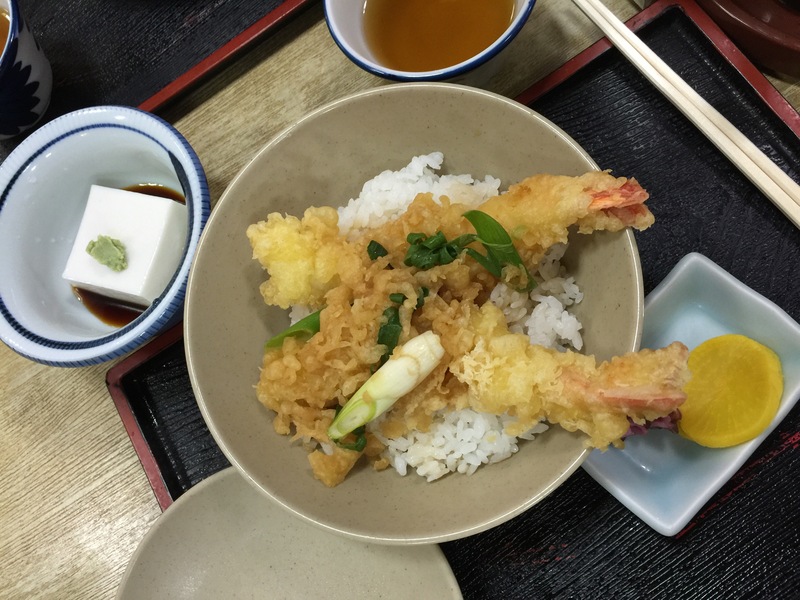 I ordered a serving of the tofu along with my ebi tempura donburi for lunch. We walked and walked, bought omamori, visited temples, and enjoyed the quiet serenity of this mountain area. We returned to Osaka that evening and stopped at Dotonbori for dinner. That place was packed on a Saturday night! 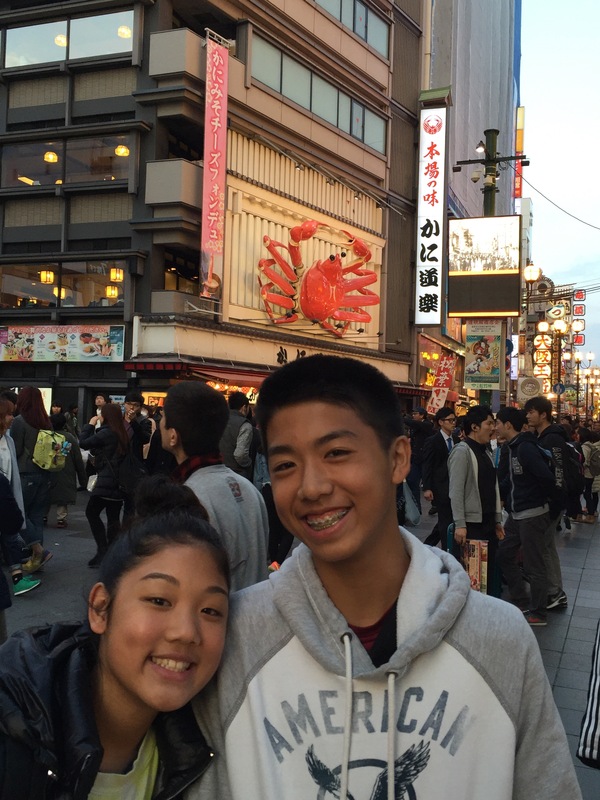 We took pictures with the famous crab and Glico running man. Dinner was at a yakiniku restaurant since my family is a meat-eating clan. We parted ways with Garet after dinner and walked to Shinsaibashi to check out the shopping we were planning to do there in a couple of days. We finally returned to Shin Osaka station where we coincidentally and randomly met Garet as we both got off the same train as we returned from Shinsaibashi! 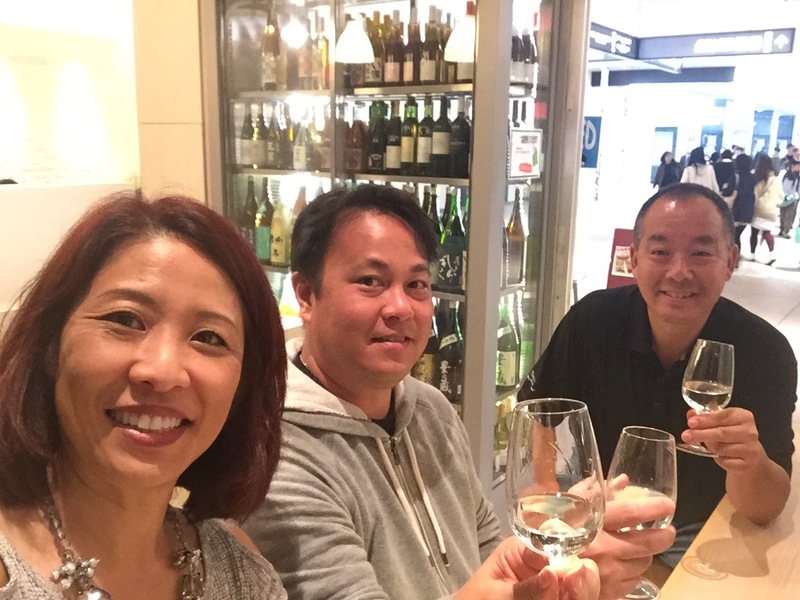 We ended up having some sake with him before we headed back to our respective hotels. It was a full day for all of us. Hilo pals in Koyasan and Osaka. Living Hilo Style. Thank you! I enjoyed Koyasan. Great photos on your blog!